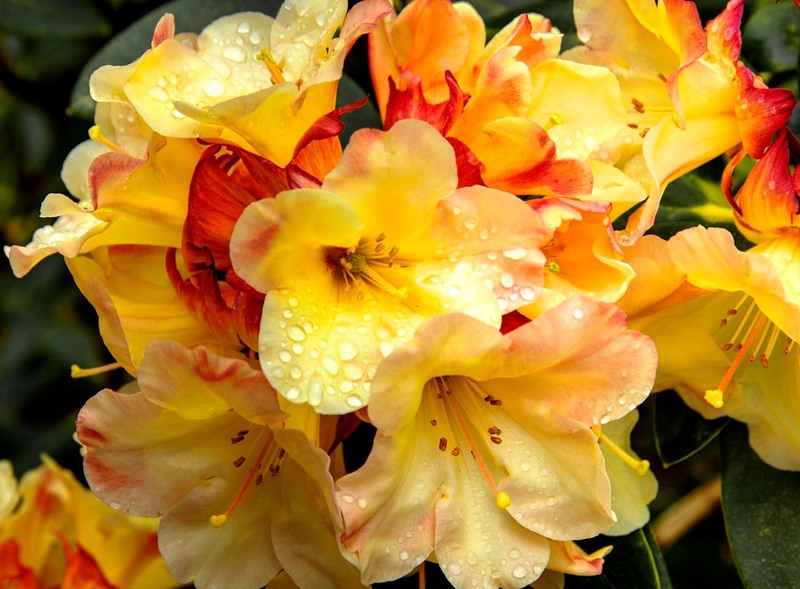 These are part of the large collection of Rhododendrons at a garden outside of Freeland, Washington. I waited until the rain quit and the sun came out to run over for this photograph. This photograph is double matted to 16" X 20" which is a common size. Frames of your choice are readily available at a number of retail locations at a reasonable cost.